Don’t get me wrong, this film is quite suspenseful and entertaining, bit it lacks any real motive or point other than Dennis Kelly’s screenplay overplaying that the hard blu-collar workers should stick it to the man when wronged. 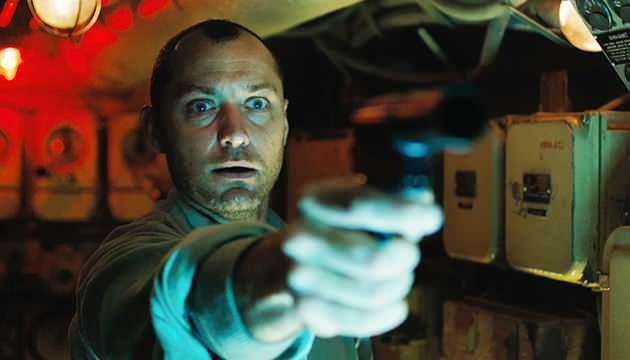 The film starts out with images of old submarines, WWII images, and even Hitler, but when the film actually starts we are in the present day as we meet Robinson (Jude Law), an aging man who has been let go by his superiors for none other than doing his job and being left out to dry so the new recruits can come in. Through bright flashbacks, we get a glimpse of Robinson’s failed marriage and family life, which is why he ultimately agrees to head up a rag team of older gentleman in a submarine to look for an old U-Boat from WWII that sank , which supposedly had tons of Hitler’s gold on it. Again, with the ‘stick it to the man’ speech, he rustles up some men, half of them Russians and half of them British men, including Ben Mendelsohn (Dark Knight Rises), Scoot McNairy (Monsters), and Michael Smiley (The World’s End). When dealing with submarine films, there is a tone of already built in suspension with the claustrophobia that can settle in quickly in these small places, in addition to being in the middle of the ocean. This is amplified by ten when Robinson and his crew find out that their submarine will be a sixty year old sub that is rusted and may not work in all the right ways. Not only that, but they have to stay off the radio, because other warships are above scouting the waters. But it’s not what’s on the surface that is deadly, it’s what’s inside the boat that is as each person on board now knows about the potential gold and are all thinking that their cut of the gold could grow if there weren’t so many people on board. And of course, things go downhill from there in an over-the-top, yet entertaining kind of way. There are several moments of real tension when the crew is submerged deep under water that will elevate your heart rate and leave you on the edge of your seat, which is always fun. Law is front and center here through most of the film and delivers a solid performance and the rest of the crew do a good job in their small roles, which all seem underwritten and seem to be only focus on screwing over the wealthy. 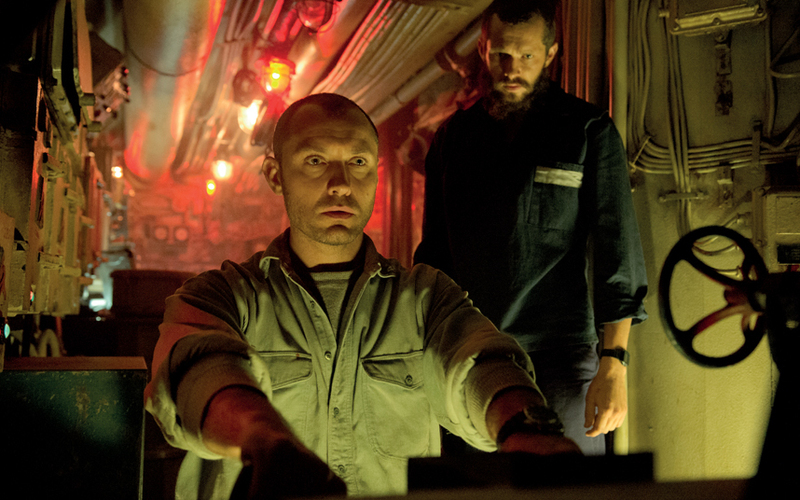 Ilan Eshkeri’s score keeps the pace and suspense throughout, and while ‘Black Sea‘ is not a dud in the water, it’s not exactly the big torpedo we all would have hoped it would be. This entry was posted on Wednesday, January 21st, 2015 at 11:29 pm	and is filed under Film, News. You can follow any responses to this entry through the RSS 2.0 feed. You can skip to the end and leave a response. Pinging is currently not allowed. « Film Review: ‘The Boy Next Door’!